Watson, the artificially intelligent supercomputer developed by IBM, is helping companies uncover their Big Data secrets. With the launch of Watson Analytics tool, businesses from around the world can now leverage the technology that enabled IBM to win Jeopardy. Watson, the artificially intelligent supercomputer developed by IBM, is helping companies uncover their Big Data secrets. With the launch of Watson Analytics tool, businesses from around the world can now leverage the technology that enabled IBM to win Jeopardy. 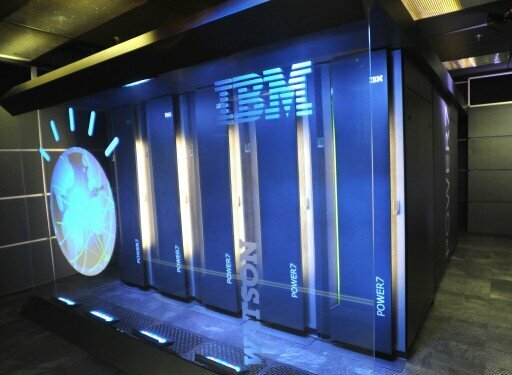 Recently they launched a set of cloud based analytics tools that use Watson’s artificial intelligence technology. Watson Analytics is a natural language-based cognitive service that offers instant access to powerful predictive and visual analytic tools for companies. Companies can simply upload their data and start querying it and start discovering patterns, trends and perform predictive analytics on their data. Watson will be available as free and premium services, and the objective of IBM is to demonstrate the power of the technology that they have developed. IBM Watson has been improved a lot in the recent years. Apart from of course the algorithms used, also the hardware improved drastically. It used to be the size of a master bedroom; today it is just the size of three pizza boxes. In the beginning of 2014, IBM launched Watson Business Group with $ 1 billion in funding. It is a huge bet on their technology and with the new Watson Analytics they have started to make it more widely available. They are also supporting startups that want to leverage Watson’s technology, with a new $ 100 million fund for Big Data startups that are developing cognitive apps. What does this move mean for IBM and what could it mean for your business? Could Watson also help your business finding new insights, reducing your risk or improving your conversion rate? After all, Big Data is there to help you achieve such things and could Watson, who can understand questions posed in natural language, turn out to be the Siri for your business? As Gartner analyst Frank Buytendijk explained to the BBC, “IBM Watson has proven itself very capable to achieve astonishing results, way beyond traditional analytics”. However, the past years, Watson has initially been focused on the health care industry and to help medical researchers. With their new strategy they want to help more industries and this could result in a lot of new innovative applications and solutions developed by startups and corporates. They are aimed at a wide range of companies, from large corporates to small companies who do not have the funding for Big Data analytics. Watson will do all the work for them such as parsing the data, cleaning it, preparing it for the analysis, identifying new trends and make it searchable via Natural Language queries, according to Eric Sall, IBM VP of Business Analytics. It is capable of combining different data sources and connecting the dots between those data sources such as weather data and sales data. With the free version of Watson, to be launched in November, small and medium sized companies can start experimenting with their data via the self-service environment. This will be very valuable for all sorts of organisations, because for most companies it is still very hard, and often expensive, to make use of the vast amounts of internal and external data. It can be valuable to all business people, ranging from the CEO to the sales rep on the road or the marketer to discover new potential customers. Of course, when more organisations start to use Watson, it will provide IBM with a lot of feedback how Watson performs, which of course can be used again to improve the technology. The more data goes in, the more feedback it receives and the better it will become over time. So, IBM’s billion dollar bet on Watson could turn out to be very valuable for many organisations, and naturally also for IBM. I really appreciate that you are reading my post. I am a regular blogger on the topic of Big Data and how organizations should develop a Big Data Strategy. If you wish to read more on these topics, then please click ‘Follow’ or connect with me viaTwitter or Facebook.